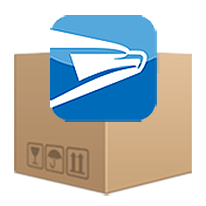 The United States Postal Service is the independent postal service of United States government, offering domestic and international shipping services by land and air. Automatically update shipping cost for the selected USPS shipping method when the cart is modified. Extra services included: Registered Mail, Insurance, Return Receipt, .. I had a minor issue getting this plugin working properly on my store, and after a short bit Valérie fixed my problem and also pointed out another misconfiguration in my site. Im very pleased with the support and functionality of this plugin!